It’s fight night, and you know what that means. A brand new set of investment options have been released. The betting lines for “UFC on FOX: Shogun vs. Vera” haven’t changed much as the clock ticks down to showtime. 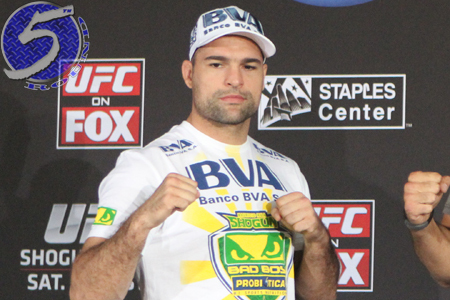 However, Mauricio “Shogun” Rua (Pictured) is now nearly a 4-to-1 odds-on favorite to beat Brandon Vera in the card’s featured attraction. Shogun was a 3.5-to-1 favorite just yesterday. Of interesting note, despite the fact he hasn’t competed 29 months, Mike Swick is more than a 2-to-1 favorite over DaMarques Johnson. The prelims start on FUEL TV live at 5PM ET/2PM PT and the main card begins on FOX at 8PM ET/5PM PT. So make sure to place your bets in time.